The Y axis on my Sherline CNC mill has developed about 8 mils of backlash, a bit more than seems reasonable. 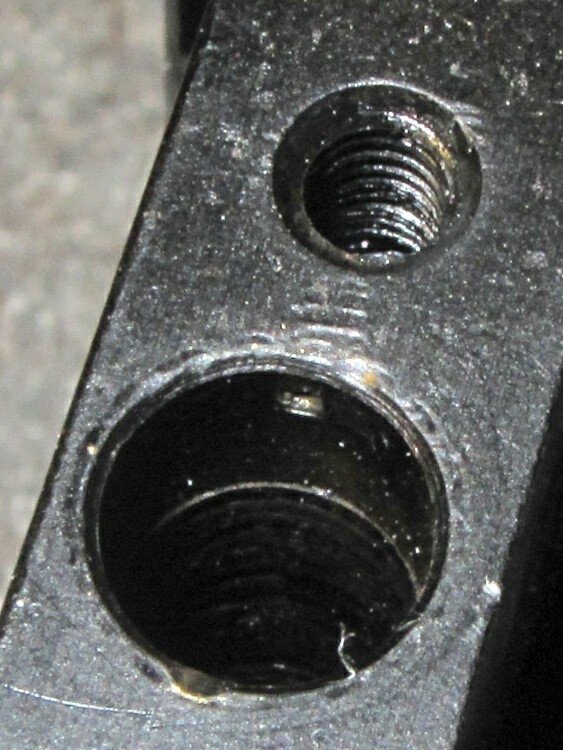 Some poking around shows that the anti-backlash nut is loose while in the middle of the leadscrew and snug while at either end, which suggests the leadscrew thread is also worn. That’s no surprise, as I didn’t figure out that having a bellows over the leadscrew was a Good Thing until, let us say, considerably later than I should. 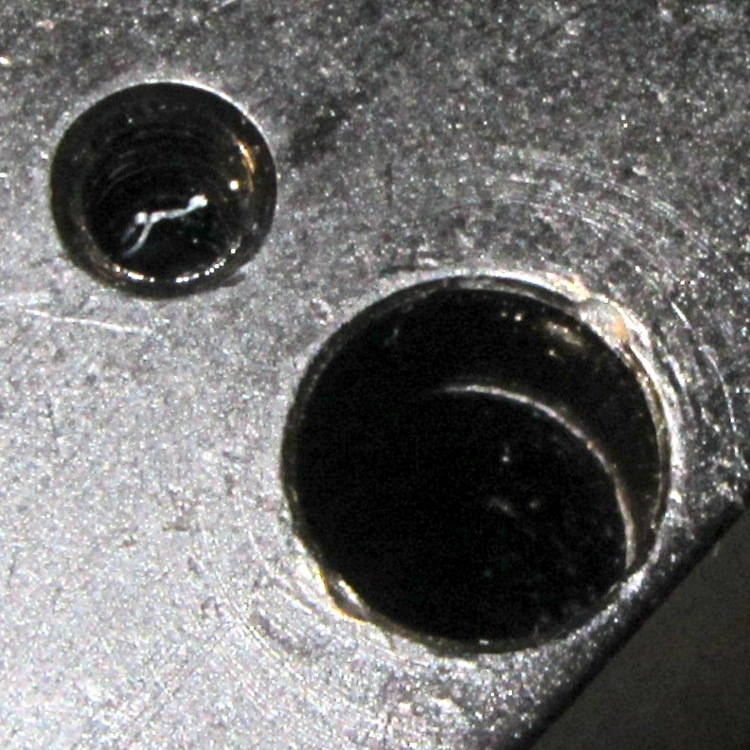 The only gotcha: nowhere (that I can find, anyway) is it written how to get the leadscrew nuts out of the stage. It turns out that the holes through the stage aren’t uniform: the X narrower on the right and the Y on the front, so you must drive the X axis nut out to the left and the Y axis nut out to the rear. 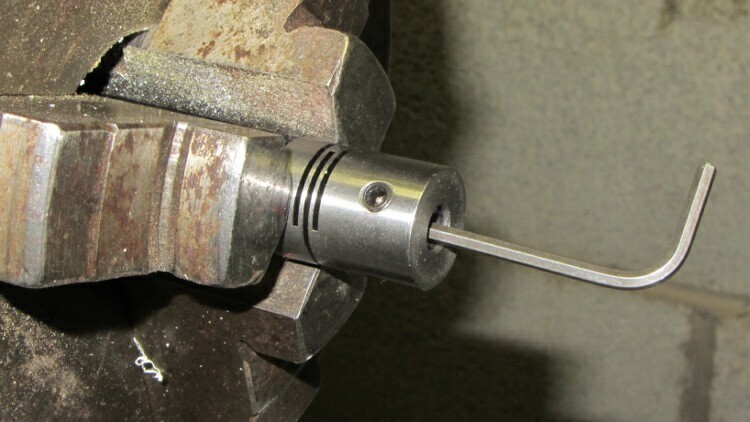 The counterbore is visible just behind the anti-backlash nut if you know what to look for, so you’re driving the axis nut away from the backlash nut. Trust me on this: you cannot drive a 5/16 inch nut through a 19/64 inch counterbore. If you have a 19/64 inch transfer punch, that’s a dandy way to get the nuts out. They used red (high-strength) Loctite on all the leadscrew bolts, as well as on the tapered joint between the leadscrew and the flex coupling, and on the bearing preload nut… so I will, too.